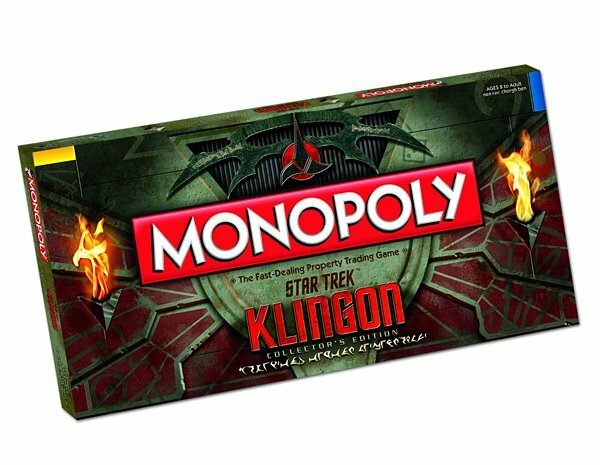 Apparently Trekkies love Monopoly so much that USAopoly has released not one, but two Star Trek-themed Monopoly sets. 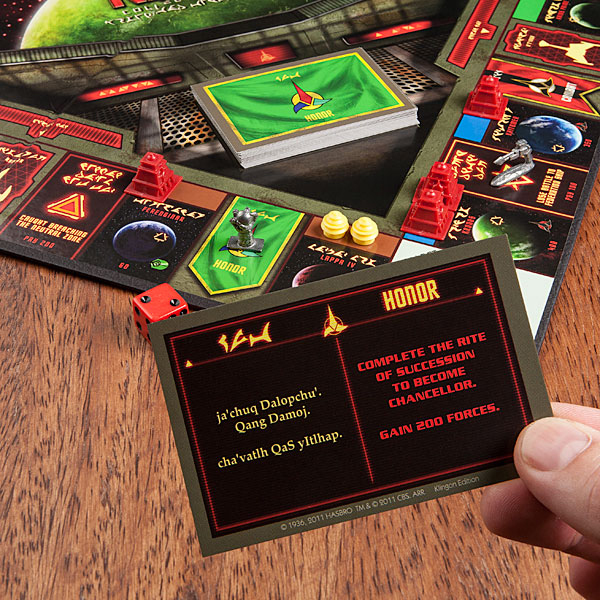 Unlike the first one, this particular set will let you play with your Klingon friends. Yeah, I know, I’ve yet to find evidence that this “friend” creature exists either. 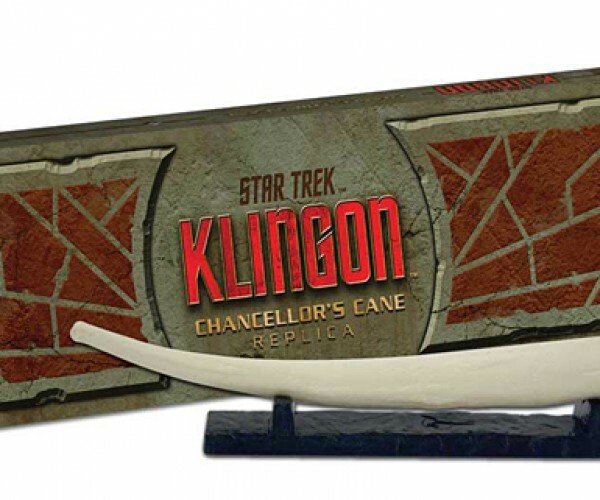 As you might have guessed, the most unique thing about this set is that all of the English instructions also have Klingon translations. 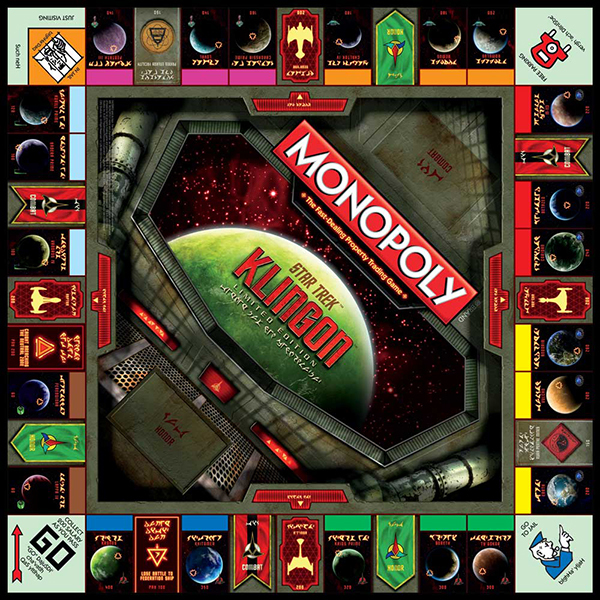 Aside from that, almost all the other names and aspects of the game have also been Klingonized. 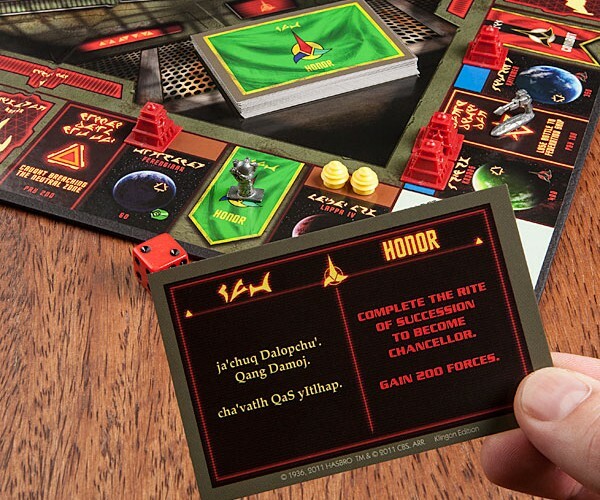 Instead of money, players use “Klingon Forces” as currency. 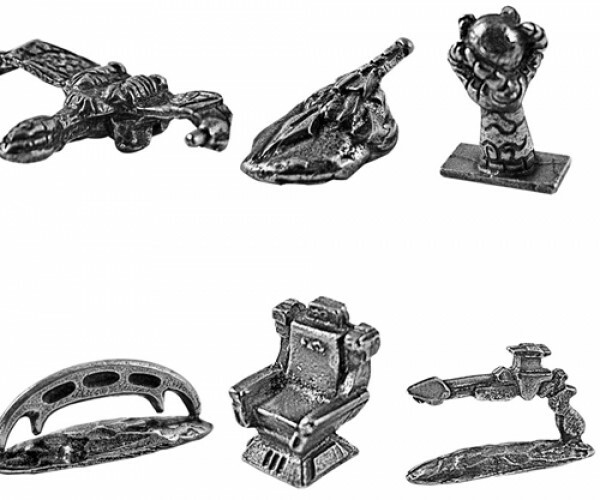 The standard tokens have been replaced with the captain’s chair, klingon gavel, disruptor, bat’leth, K’k tahg and a bird of prey. 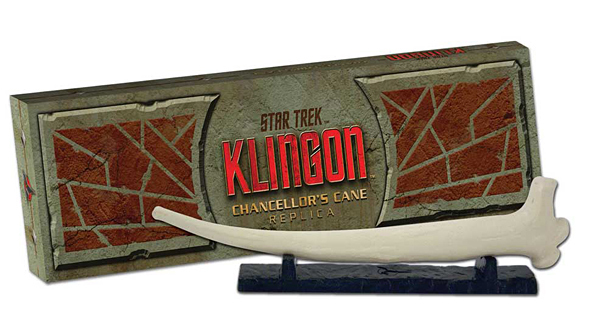 The set also includes a small replica of the Klingon Chancellor’s Cane. 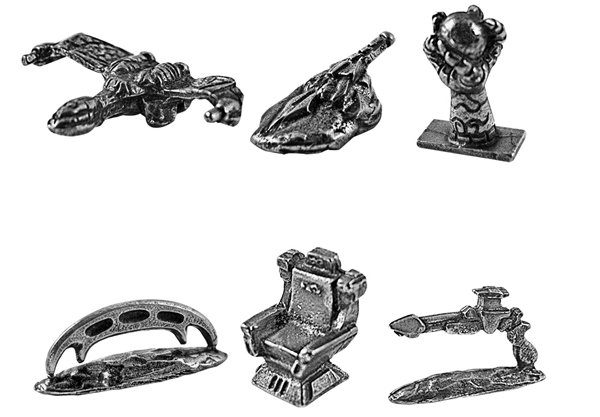 Sadly, all of this fan service only makes this set’s weak point more apparent. 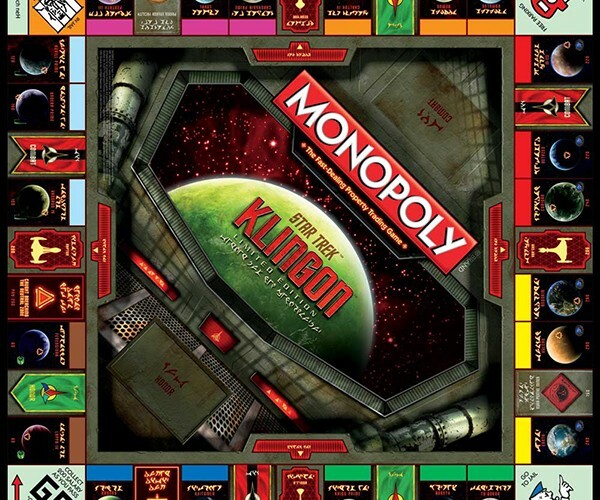 Look at the board in the gallery below and you’ll see that the four corners are still from the standard edition, albeit with Klingon translations. 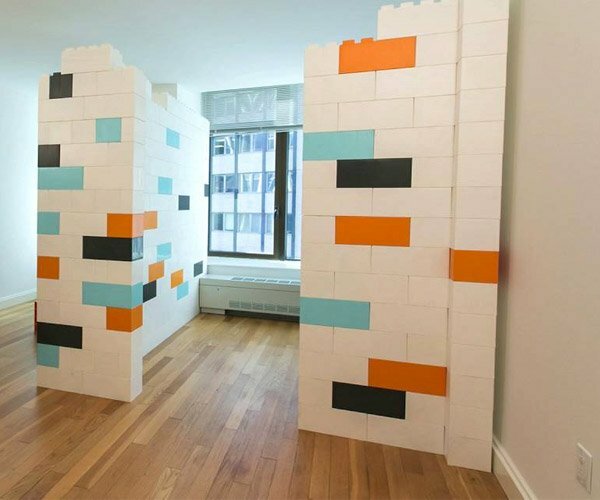 Kinda jarring once you notice them. 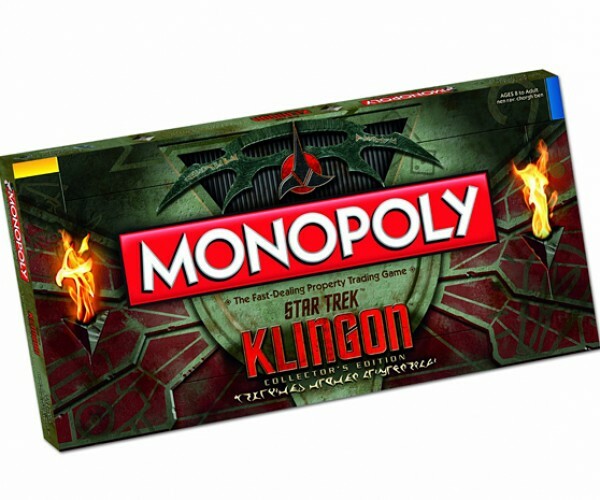 Order the Monopoly: Star Trek Klingon Edition from ThinkGeek for $40 (USD) or from Amazon for about $28. 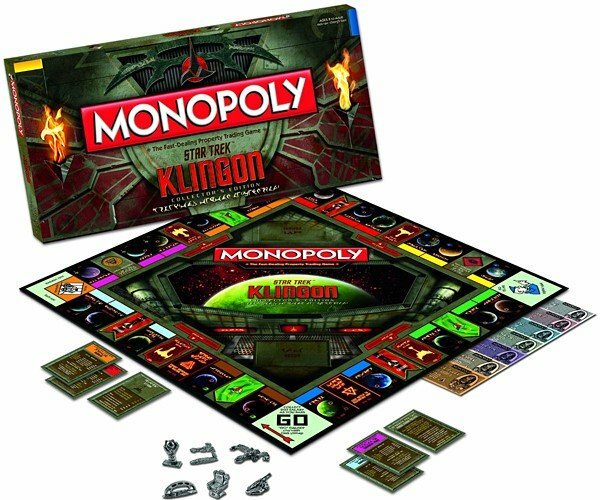 What’s next, Monopoly: The Borg Game?